The GrowUp Conference & Expo has a strategic focus on the education and growth of the cannabis industry. Attendees include individuals from different fields related to cannabis such as licensed producers, investors, lawyers, and more. As AXSource® had previously attended GrowUp last year, this will be the first year we will be attending as exhibitors! Also joining our booth with us will be our partners, Microsoft Canada. 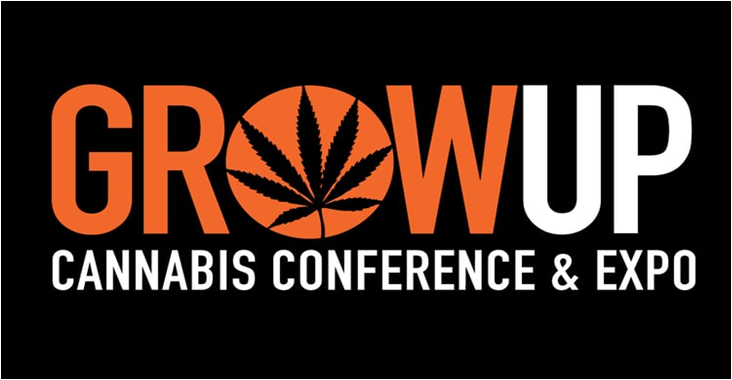 Since this will be the second cannabis expo that AXSource® will be exhibiting at (the first one being O’CannaBiz that happened in June 2018), we are thrilled to have the opportunity to exhibit at GrowUp this year. The GrowUp Conference & Expo differs from the O’CannaBiz Conference & Expo in the sense that O’CannaBiz was centered towards a more Business-to-Business crowd with a slim audience of recreational users. With GrowUp in particular, this conference shifts the focus on growing within the cannabis industry in related fields from industries within law, medical, regulatory affairs, recreational users, retail, and producers. Being located in Niagara Falls, known as one of the seven wonders of the world, GrowUp is sure to be an eventful weekend with views both inside and outside the exposition. In addition, as Ontario gets closer to the legalization date, GrowUp will probably be one of the last cannabis conferences before the legalization of cannabis takes effect in October 2018. It will be interesting to discuss with exhibitors and attendees about the current affairs and upcoming legalization of cannabis and how these changes will affect their industries. For a majority of cases, the legalization will bring a positive light to a wide variety of sectors as it will for AXSource®. AXSource® is a technology and consulting company that specializes in Microsoft ERP, CRM and QMS solutions for companies within the Life Sciences, Pharmaceuticals, and Medical Cannabis industries. Organics Compliance Suite (D365 OCS™) offered by AXSource® is the first End-to-End solution for Licensed Producers which offers more than Seed-to-Sale. We also offer regulatory and quality consulting services for License Approval, facility inspection, and GMP Compliance. With the 2-day GrowUp Conference & Expo starting Friday, September 7th and ending Saturday, September 8th, AXSource® is looking forward to this great opportunity of meeting new and existing peers within the industry. Located at Booth #631, be sure to stop by AXSource® to find out more about us, our ISV solutions, including our cannabis solution, and our services. Feel free to check out our website at www.axsource.com. For more information on our cannabis related solution, D365 OCS™, visit our microsite on all things OCS at www.D365OCS.com. For general inquiries or for demo related information, email us at info@axsource.com.